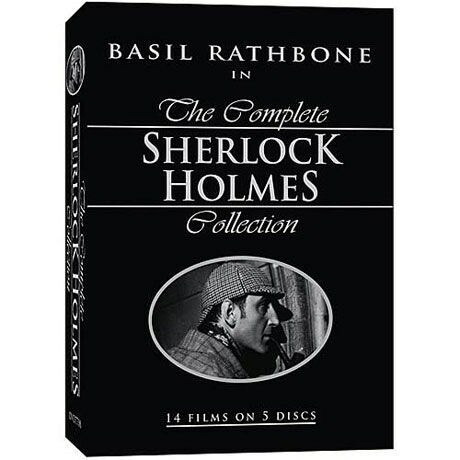 Many Holmes fans believe that Basil Rathbone was born to play Conan Doyle's cerebral sleuth. From 1939-46, Rathbone starred with Nigel Bruce (as Watson) in a series of 14 feature films. 12 have been restored by the UCLA Film & Television Institute. 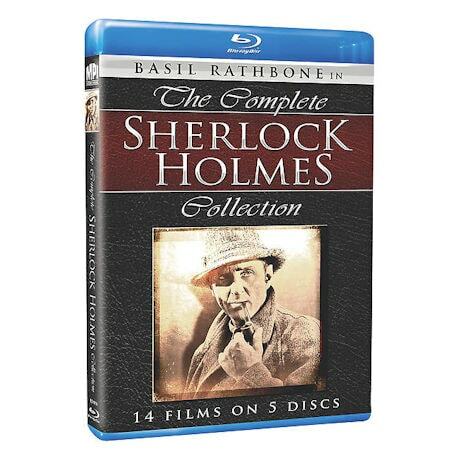 This set collects all 14 (including the unrestored Hound of the Baskervilles and Adventures of Sherlock Holmes) plus bonus features. 16 hrs 20 min, 5 DVD or Blu-ray discs.